An important date for your Diary…. ….Look forward to seeing you all there! 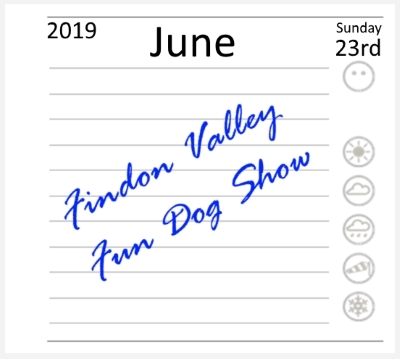 If you would like to register a stall at the Dog Show on Sunday 23rd June 2019, please download and fill in the booking form below. Findon Valley Fun Dog Show, Sunday 26th August 2018, a triumph! £1916!…No, don’t panic, that enormous number you have just read is not a typo, it is in fact the total amount raised by all of you amazing people who attended our Dog Show on 26th August 2018. This really is a staggering amount and we can’t thank you enough. This is the most we have ever raised in one show, and when you consider that we had to reschedule and then cope with the awful conditions on the day, it makes this figure even more remarkable. 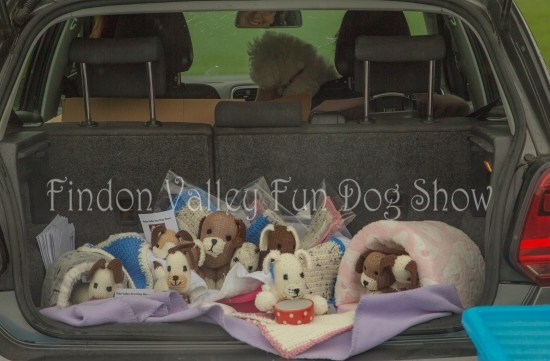 It is a testament to all of you wonderful dog owners who are evidently a hardy breed who wouldn’t let a bit of inclement weather discourage you and your loyal canine pals from coming out and supporting us. It was lovely to see so many of you turn up, with a smile on your face and a determination to have fun regardless. The true stars of the show of course were all the magnificent (soggy) doggies, and it was an absolute pleasure to meet them all. So much effort and planning goes into producing this event, and every single person in the team plays a vital role to ensure the smooth running of the show. There are some of them who I feel deserve extra recognition, as they spent the entire day out in the pouring rain and biting wind, and were not afforded the relative luxury of those of us who were fortunate enough to be able to remain undercover in our big red marquee. Geoff Raynsford, for keeping everything organised and liaising with the various team members and holding it all together. Phil Valentine and his team, who were there from the start to the bitter end, transporting, setting up and taking down our equipment. Russ Akehurst and Pat Eves, who had the unenviable roles of choosing the winners for each category. Sue Knowles, who arrived before anyone else to start setting up and was out in the rain all day helping anyone who needed her. Sue Davies from Hoopers, putting the dogs through their paces in the agility ring. Fred Bell, our official photographer, who managed to capture so many magical moments despite the far from ideal conditions. 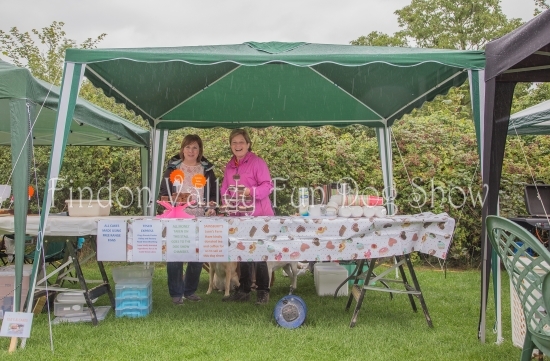 All the stall holders who braved the elements and came out to support us. A huge thank you must go to our M.C. Keith (Rolo) Rowley, who despite being soaked through and freezing cold, managed to lift everyone’s spirits with his natural charm and warm personality, ensuring a positive and entertaining atmosphere throughout the day. 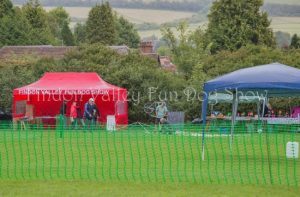 We now have lots of wonderful photographs of the day captured by our official photographer Fred Bell on the 2018 Show page. You can order copies of the full size, un-watermarked digital files directly from us at the cost of £2 each or three for £5. All proceeds will be shared between our nominated charities. If you email us using the form on the Contact Us page with your selection, we will email you the account number and sort code for our bank account and you will be able to do a direct transfer. On receipt, we will send you the files via email. Thank you for your continued support. It was Noel Coward who said that mad dogs and Englishmen go out in the midday sun, but I don’t feel it would be entirely inaccurate to add torrential rain and driving wind to that list! The irony has not been lost on us that we cancelled the show (understandably), on one of the nicest days of the summer, but went ahead on one of the worst. 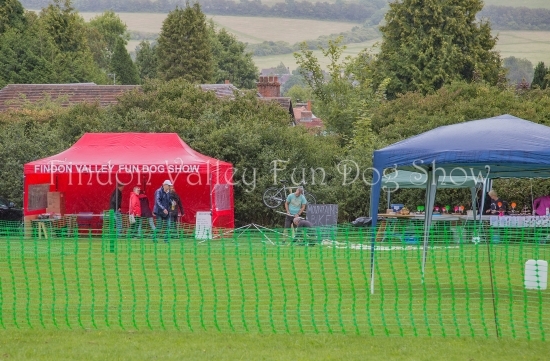 We aren’t going to let that dampen our spirits though (no pun intended), in fact we all enjoyed it so much that we are going to do it again next year, Sunday 23rd June 2019 to be precise, so look forward to seeing you all there. 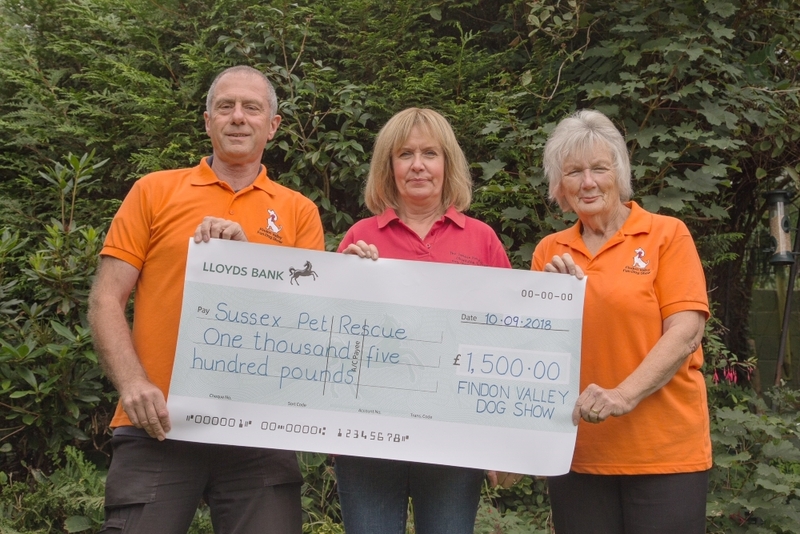 Our judges Russ Akehurst and Pat Eves, presenting a cheque for £1500 to Jan Meredith of Sussex Pet Rescue. 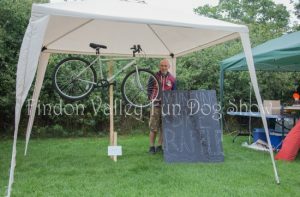 A cheque for £400 was also presented to PAWS animal sanctuary in Findon.